July-News-from-BeauVerre-Riordan - Benchmark Community July News from BeauVerre Riordan! 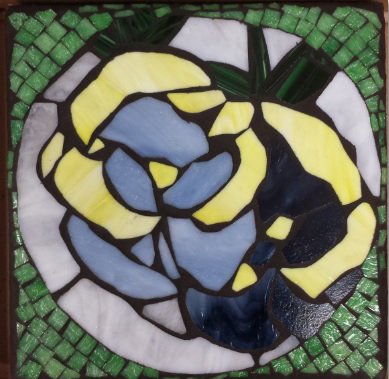 July News from BeauVerre Riordan! We are now in the HEAT of the SUMMER! 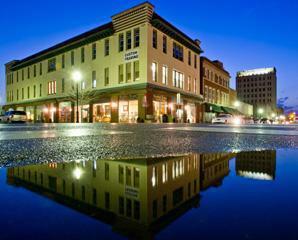 Come on in to BeauVerre on the Square to COOL off this summer! Check out our upcoming class schedule! Wednesday evening classes (6-8 pm) will resume after Labor Day! Stay up to date by visiting our website under the class section or by receiving our newsletters! 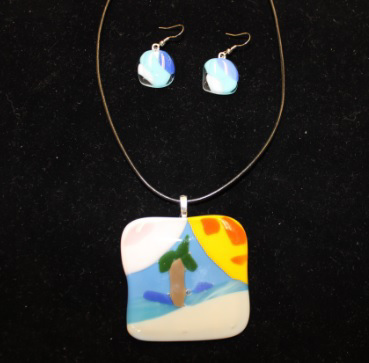 Students will create unique fused glass jewelry. Materials included. Dichroic glass is additional. Items created will be available for pick up normally within a week. Coming soon! 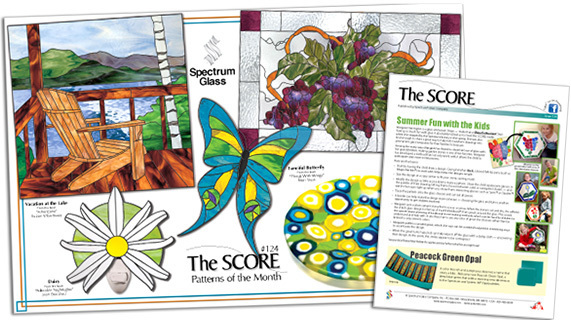 New issues of The Score! (4 classes) Create a small garden stone. Please check with the instructor to discuss your project option before class starts. Ladies, in this one night class you will create unique fused glass jewelry that you get to keep while having fun with the girls! This class will include dinner at “Murphy’s Landing” and materials for the class. Complimentary wine will also be available! 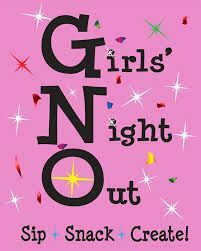 Please let us know if you would like to plan your private Girls Night Out! Register ASAP to reserve your seat in class! 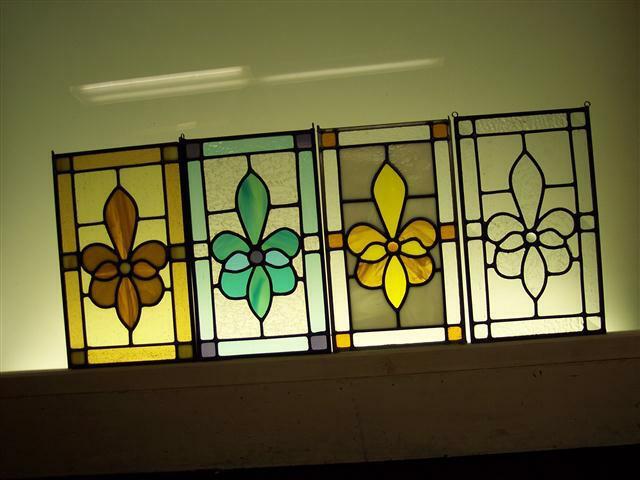 We are a full line supplier for the stained glass industry. Over a dozen different manufactures of glass and a complete selection of tools and supplies. Celebrate Independence Day in Style! 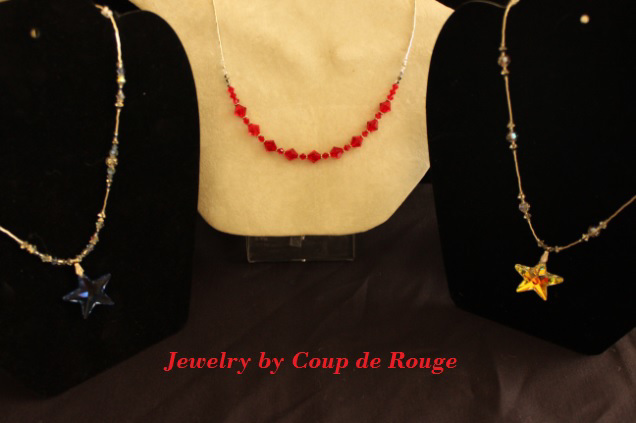 These handcrafted unique necklaces are available for purchase in the gallery! 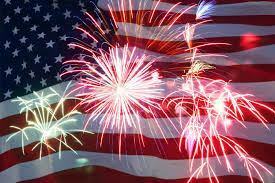 Come celebrate Independence Day with us @ BeauVerre on the Square! 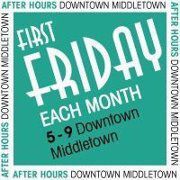 Open from 11 am - 9 pm Friday, July 4th! Red, White and Brew! Beat the heat and come in for the Fourth of July Special, BBQ RIBS and potato salad! YUM! 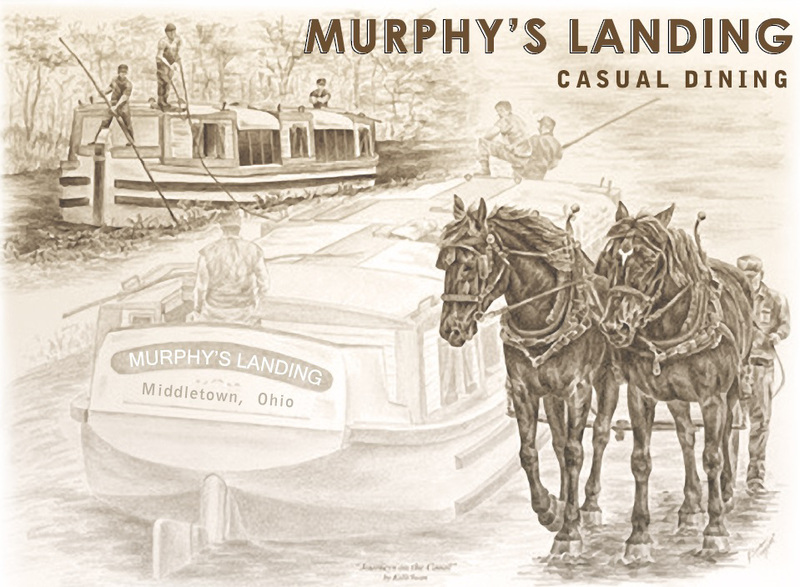 Stay up to date on specials and events by "Liking" Murphy's Landing Facebook page!